We have changed the format of the dock plates and stickers. If you don't already have a dock plate, we will supply blank plates that you can permanently mount on your dock. The stickers will be the size of the existing and new plates, and the colors and graphics will change annually to reflect the current year, similar to the tabs on you car license plate. 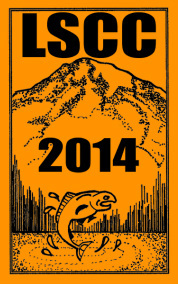 If you are a member and you need a new dock plate or 2014 sticker, contact any Board Member. As residents of Lake Sawyer, I thought you and your families may be interested in supporting the Black Diamond Historical Society Museum. 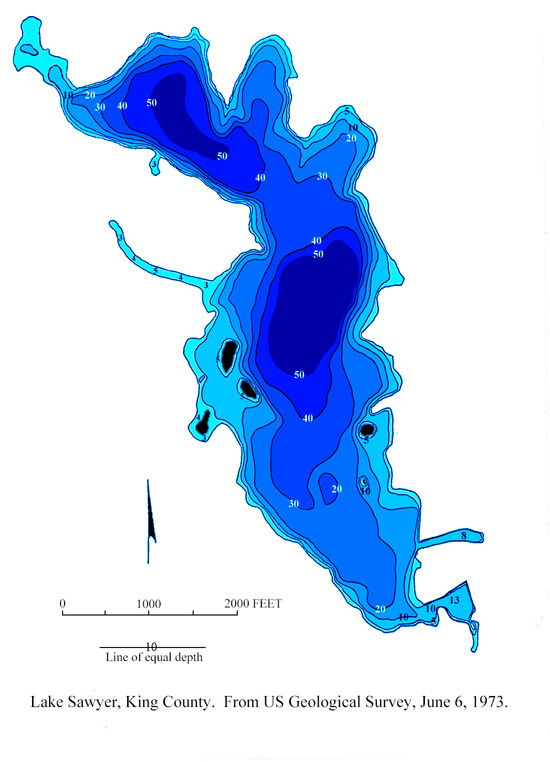 The Museum is open 3 days per week; Thursdays, Saturdays and Sundays.The Summer 2012 issue of the Black Diamond Historical Society Newsletter is focused on Lake Sawyer. To join, follow this link: BDHS and then click on "Contact" and then click on "Become a Member". Steve F.
responsibility to obey the rules on the lake to help make it a safe place for all to enjoy. 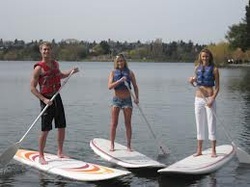 SUPs are vessels and you are required to have a wearable PFD on board. It has to be accessible. There are some models that have a small net or nylon pack built into the design to hold personal items. Children 12 years of age and younger are required to wear a PFD when on a SUP. 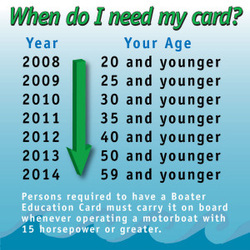 State Law requires boaters to carry a Washington State Boater Education Card when operating motorboats with 15 or more horsepower including personal watercraft and any motorized watercraft. The law phases in over time, see the chart to the left. 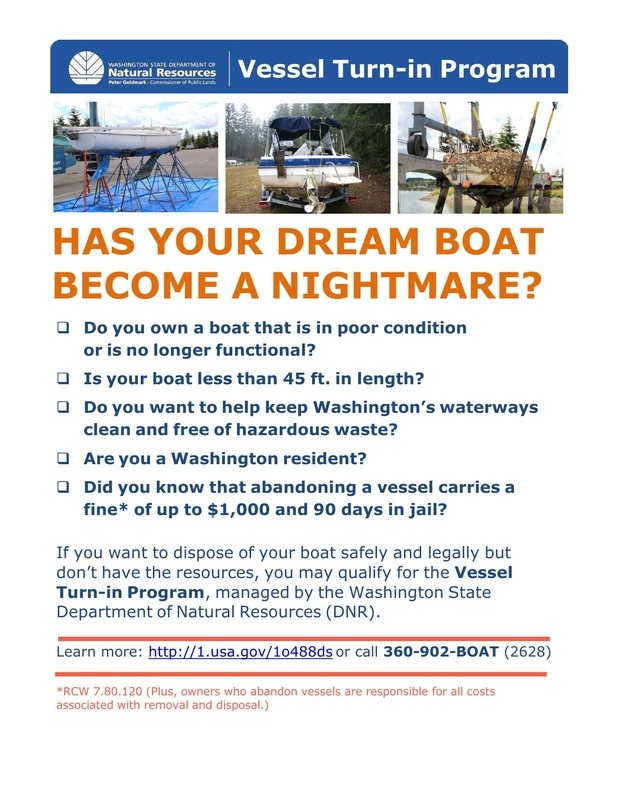 You can obtain your Boater's Card online at www.parks.wa.gov/boating.